A two weeks Italy itinerary off the beaten path for the travelers who already enjoyed Italy essentials, and look for more. Discover Milan, Emilia Romagna, Umbria, Apulia and Sicily. What? Visiting Italy without seeing Rome? Not even Florence or Cinque Terre? Yes, that’s what I mean, and I didn’t get crazy! So for you maverick travelers, here is my itinerary, to be enjoyed in two weeks or more. Of course, you can cherry pick any of these destinations and add it to a “classical” Italian tour: you won’t regret it! The International Expo ended in October 2015, but Milan is still the Italian bustling capital of fashion, culture and business. 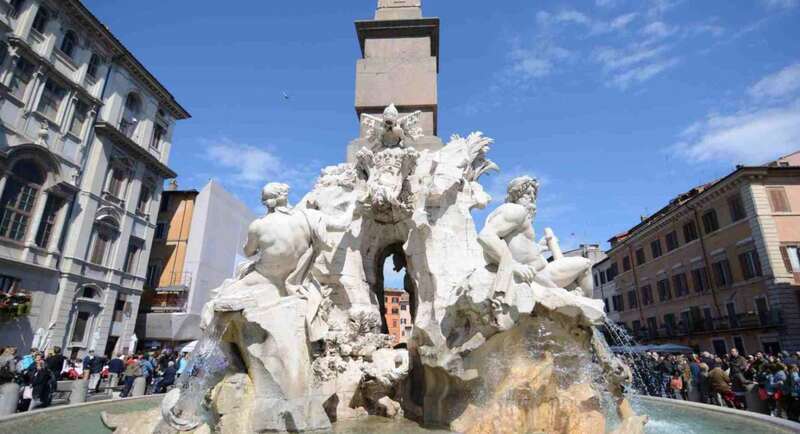 It’s a vibrant city, full of works of art, and with the best innovative cuisine you may find in Italy. A great place to start your off the beaten path Italian tour. Click here for a one day Milan walking discovery tour. This region is, mysteriously enough, out of the mainstream Italian touristic itineraries, even though nearly all visitors cross it while travelling from Florence to Venice or to Milan. Amazing Roman Empire capital Ravenna, and its marvelous 1500 years old churches and mosaics (Ravenna and Ferrara are both Unesco sites). Emilia Romagna is also one of the Italian food capital, being home to Lasagne, Tagliatelle al ragù and world renowned Parmigiano cheese, prosciutto crudo and Balsamic Vinegar. Nearly as beautiful as Tuscany but as rich in history, culture and, in my view, even more romantic! It’s a region of medieval hill towns, full of spituality (Assisi, where San Francesco was born, is an umbelievable place), art and history – Umbria was the land of the Etruscans, before they were conquered by Romans. In other words: a fantastic off the beaten path destination! Umbria delightfull hill towns, full of history, art and beautiful scenery: Assisi, Todi, Spoleto, Spello, Gubbio, Orvieto. Civita Bagoregio (“the dying city”), close to Orvieto, is an unbelievable romantic destination, totally out of the beaten path! The “heel” of Italy, Apulia is another destination surprisingly out of mainstream touristic itineraries. In the Northern part, look for Polignano a Mare, Trani, Alberobello (to see the famous trulli), Castel del Monte, Ostuni. The main highlghts are the already mentiuonned Trulli (ancient conic stone houses, you can’t find them anywhere else) and the medieval monument such as the many cathedral and Castel Del Monte. You can have a look at my Puglia itinerary here. You may also consider a day tour to Matera (Unesco site), and visit the Sassi and the rupestrian churchs. Sicily is one of the most beautiful and cultural rich Italian regions. Greeks, Romans, Arabs, Normans, French, all have invaded the Island and left something of their culture. The result? An amazing cultural melting pot, and one of the best cuisine in Italy, with a taste of Middle East (don’t miss the “Cuscus alla Trapanese”). Highlights: Palermo, Siracusa, Noto, Ragusa, Piazza Armerina (awesome roman mosaics), Taormina. You can swim at sea till early November, and again from the end of April. For a true escape, consider spending up to one week in the Eolian islands. It’s a volcanic archipel of 7 islands, each one with its peculiar “character”. My preferred one is Salina, the greenest one, but posh Panarea is delightful and on Stromboli you can climb up to the top of the active Volcano to see lava fountains at night. Avoid August, and you will discover Italy like it used to be 50 years ago, since the islands get crowded only in the very summer period. Would you like an independent advice on your next trip to Italy? Visit my Italy Travel consultant page. Bagnoregio with one “g”. Text is as usual interesting BUT needs a spell check. For example: awsome… but there are other typos.